The Free Man Community Trust™© is designed to incorporate The Free Man Community™©, The Free Man Community Attorney Services™© and the Free Man Community Charity™©. 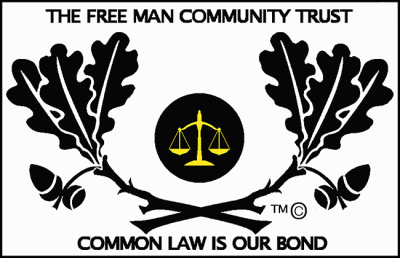 The purpose of The Free Man Community Trust™© is to educate people in the difference between English Common Law and the Acts and Statutes of a corporation calling itself a government. 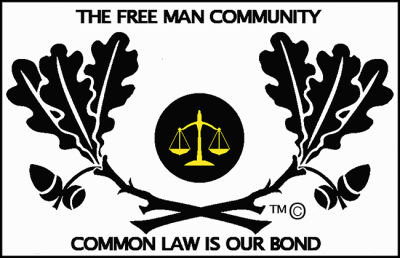 The Free Man Community Trust™© also allows members to place items of property within the Trust to protect themselves from unlawful seizures of property and possessions or if members wish The Free man Community Attorney Services™© can help people set up their own Trust to protect their property and possessions. The aim of The Free Man Community™© is to bring all free men and women together into one community. Within this community we are able to help each other as a community should. This includes tradesmen who are members helping other members with their problems, for instance, a member needs some carpentry or plastering work doing, they could contact us and we could give them a tradesman’s number to call to get the work done cheaper. A community is designed to look after one another unlike a society which is designed to keep us fragmented. 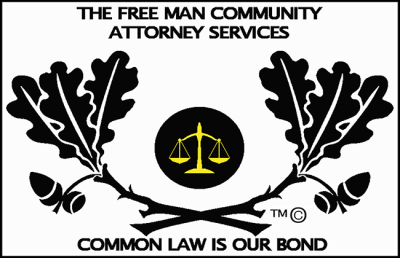 The Free Man Community Attorney Services™© is for members to get advice on their problems between legal and lawful. We help members deal with things such as parking tickets, school fines, bailiffs, speeding accusations and many others. If you have problems like these sign up for membership now and let us help you deal with them. The Free Man Community Charity™© is there to help the members of the community with charity projects, whether it’s a school that needs new play equipment or a skateboard park that needs resurfacing we use donations from members and non-members to help out with charitable projects. If you wish to donate something towards the Charity please use the donate button on the website. People have been asking me why we have set up this website and the answer is very simple, a lot of people are sheeple and they need to wake up as to what is going on in their lives. They sit around watching television, putting their whole lives on social media, drinking themselves into stupidity, doing drugs because their friends do drugs and it is fashionable and generally screwing their lives up any way they can. Well here is some information for you, THIS IS WHAT THE CORPORATIONS WANT YOU TO DO. Television is nothing but a propaganda machine for the corporations, especially the B.B.C., this corporation has committed so many crimes over the years its beyond belief, their crimes range from protecting paedophiles to high treason and yet they are still allowed to be in business, why?, because they are the UK PLC aka The Crown propaganda machine. When I talk about the Crown I do not mean The Queen, I mean the Crown Corporation or Parliament. All programmes from the news to soaps are based on Tavistock Institute formulas to brainwash people (research The Tavistock Institute it will shock you), even adverts are designed to make you want to spend your money and keep you in imaginary perpetual debt. Social Media was only created so that you could be spied on and your information sold to marketing companies, if you don’t believe me look at how much money councils and other corporations make each year by selling your personal information, These people store and sell your information to other corporations including government agencies. Every phone call, text message, tweet and email, every website you visit, everything you buy with a debit or credit card, all this information is passed around different corporations and their agencies to build a profile on you. Conspiracy Theory you may say, but the information is out there for you to find sheeple, you just need to wake up and educate yourselves. While you are acting like sheeple, the corporations are filling their pockets with your hard earned money, they tell you that this is law and that is law, but it isn’t law, it is money making Acts of Parliament that they pass without your knowledge because you are wasted on drink and drugs or brainwashed by Eastenders, Coronation Street, Britain’s gone brain dead and all the other moronic shows that the sheeple watch. If you register to vote you are a part of corporate society, giving the corporations implied consent to do as they please with your lives and money, it does not matter who you vote for, all political parties are part of the big lie, remove your name from all electoral rolls, refuse to vote, if people do not vote the corporations have no power. Councils are corporations, police forces are corporations, and do you know the difference between a Constable and a Police Officer? , if you did you would never trust the police again, get off your backsides, do some research and find out what is going on. The only people who are awake to this are the free men and free women of England, Canada, America and other countries where Common Law is prominent, they know what is happening and are fighting against the corporations by learning about their rights and demanding them back. Join The Free Man Community Trust™© now and do the same.